Whisk(e)y School Whisk(e)y curious? Get a handle on the basics of the most popular spirit in America! 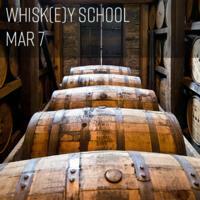 Sign up for two or more Whisk(e)y School sessions and receive $5 off each session. At the Center for the Arts Lobby. Instructor: Sommelier & Spirits Expert Aaron Tomcak. 5:30 – 7:30 p.m. $40 per session THU MAR 7 Laws Whiskey House Experts from Denver-based Laws Whiskey House will be on hand to discuss their top-shelf, award-winning whiskeys as you sample!